Spanning three urban counties, the wildlife habitats range from cliff-lined beaches, estuaries, lagoons, and islands to undisturbed grasslands, forested ridges, and lush redwood groves. Background: This huge complex begins in San Francisco, nearly in the shadow of skyscrapers. The Marin County portion offers everything from beaches, estuaries, and lagoons to forested ridges, lush redwood groves, and grasslands. These diverse habitats attract a wide array of water-associated birds, songbirds, small and large mammals, and more. Hawk Hill is famous for its fall views of migratory birds of prey. Viewing Tips: Good year-round viewing. Fall through spring are peak periods for water-associated birds. Birds of prey best in September and October. You can get a taste of the wildlife in San Francisco with an hour of viewing. Marin County sites require at least a few hours, a full day excursion would provide opportunities to see more variety. Bring a picnic lunch. Site Notes: A huge complex spanning three urban counties. 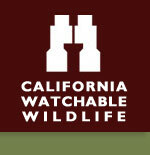 Wildlife habitats range from cliff-lined beaches, estuaries, lagoons, and islands to undisturbed grasslands, forested ridges, and lush redwood groves. The San Francisco side including Alcatraz, starts at Aquatic Park and follows the coast to Fort Funston and Ocean Beach. In the uplands, Sweeny Ridge harbors songbirds and butterflies. Boat tours visit Alcatraz, once a prison, now a shelter for nesting colonies of black-crowned night herons and wetern gulls. Shorebirds roam the San Francisco shorelines, western grebes, Brandt's cormorants, pigeon guillemots, and brown pelicans (endangered in the West) remain offshore. Seal Rocks below the Cliff House are a favorite haulout for Steller and California sea lions. The vast Marin side encompasses nearly all of the Marin Headlands, Tennessee Valley, three military bases, and separate lands at Muir Woods and Stinson Beach. Quiet Rodeo Lagoon and Beach attract a broad range of waterfowl, wading birds, and gulls, including breeding pelagic cormorants and occasional wintering harlequin and tufted ducks. An extensive headland trail system explores varied habitats with songbirds, birds of prey, spring wildflowers, and spectacular bay and ocean vistas, watch for bobcats and gray foxes. Be sure to visit Hawk Hill at Battery 129 in the fall, 19 species of birds of prey-up to 12,000 birds-pass over this site, forming the largest concentration of migratory hawks in the Paciic states. How to Get There: San Francisco side: Get park map at headquarters located at Fort Mason on Bay and Franklin Streets. Marin Headlands area: North of the Golden Gate Bridge, take first Sausalito exit and follow park signs to visitor center.